Cystic Fibrosis (CF) is an inherited disease that causes thick, sticky mucus to form in the lungs, pancreas and other organs. In the lungs, this mucus blocks the airways, causing lung damage and making it hard to breathe. In the pancreas, it clogs the pathways leading to the digestive system, interfering with proper digestion. People with CF have a shorter-than-normal life expectancy. The good news is that as treatments for CF improve, the life expectancy for people with the disease is rising. Fifty years ago, children with CF often died before attending elementary school. Today many people with the disease live into their 30s, 40s and beyond. 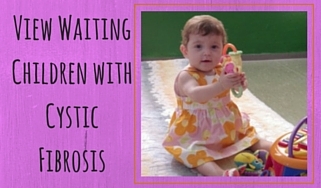 Getting early treatment for CF can improve your quality of life and your lifespan. In some people with CF, the disease begins in childhood. Others have a milder form of the disease and don’t start getting sick until they are teenagers or adults. Lung function often starts declining in childhood, eventually leading to severe breathing problems. The most common cause of death in people with CF is respiratory failure. Children and adults with CF may need a high-calorie, high-fat diet to make up for the improper absorption of nutrients caused by the disease. You also may need pancreatic enzyme supplements, and vitamin and mineral supplements. Treatment for CF depends on the stage of the disease and the organs involved. It may include airway clearance techniques to clear mucus from the lungs. One technique is called postural drainage and percussion. The person with CF sits, stands or lies in a position that helps free up mucus. The chest and back are pounded and clapped to loosen the mucus. A person with CF may use a mechanical vest or blow into a device that shakes the mucus loose. Inhaled medicines are also commonly used for CF treatment. These may be taken with a nebulizer, a machine that changes liquid medicine into a fine mist which makes it easier to inhale deep into the lungs. Some medicines can also be breathed in through a metered dose inhaler (MDI). Other types of medicines used for CF treatment include Azithromycin, an antibiotic that fights bacteria in the lungs and anti-inflammatory medicines such as ibuprofen to help reduce swelling in the airways. Lung transplantation may be an option in some severe cases of CF. Today, almost 45 percent of the cystic fibrosis population is aged 18 years or older. As people with CF live longer, they are more likely to develop middle-aged health issues, such as CF-related diabetes, osteoporosis and infertility in men.